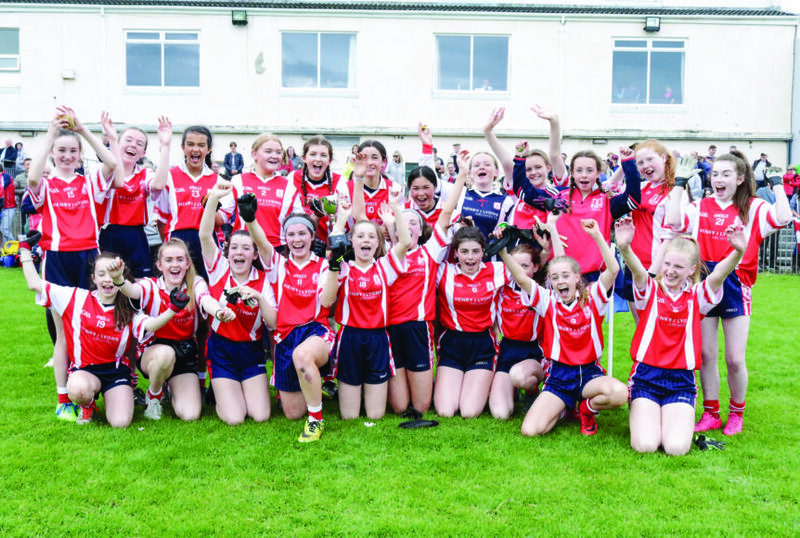 GOALS in each half by Sadie Bennett and Kerrie Begley helped Cuala ‘B’ to claim the AIG Dublin Feile Division Seven title at O’Toole Park on Sunday afternoon. In spite of a game effort from Castleknock B, the Dalkey outfit – captained on the day by Sarah O’Hagan – prevailed with seven points to spare. Louisa Kirkwood and Ella Buckley also produced strong displays to keep Knock at bay. Courtesy of consecutive victories over Trinity Gaels, Thomas Davis and Clontarf on Saturday, Cuala finished at the summit of Group B. They progressed to a semi-final encounter against Raheny. 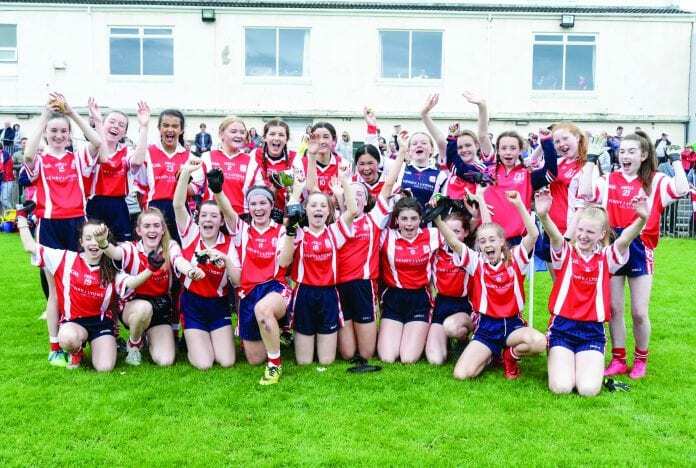 In their last-four showdown at Thomastown, Cuala recorded a four-point success – 0-8 to 1-1 – to advance to the final. Castleknock were made to work for their place in the decider by Trinity Gaels, but a hard-earned 1-5 to 2-1 triumph at Bremore Park set them up for a showpiece event in the Crumlin venue. Although Cuala were on top of possession during the early exchanges, Castleknock posed a considerable threat in attack. When referee Jonny Jackson awarded a close-range free to her side in the fifth-minute, Ailbhe Geraghty was presented with an ideal opportunity to break the deadlock. However, her subsequent effort on goal was deflected away from the target, much to the relief of the Cuala faithful. At the opposite end, Ella Geary provided the Dalkey girls with a direct option on the edge of the square. She fired narrowly past the post on the stroke of 10 minutes, before Doireann Ni Bhraonain finally edged them in front with the aid of the woodwork. This was supplemented by Kirkwood’s pointed free, as Cuala looked to create some distance between themselves and their Somerton Park counterparts. While Castleknock played with great discipline in defence, they found themselves staring into a five-point interval deficit, 1-2 to 0-0. A speculative long-distance strike from Sadie Bennett towards the end of the half slipped through the grasp of Castleknock custodian Saoirse Behan for the opening goal of the game. This ensured Cuala were in control of their own destiny when the action resumed, and yet still wary of a potential Castleknock backlash. There was certainly no faulting the perseverance of ‘Knock, who were led superbly on the day by Molly McCarthy. Though their radar was off for much of the action, they continued to search for scores as the second period developed. They simply couldn’t rein in the challenge of Cuala, however, and the outcome was ultimately placed beyond doubt on the half-hour mark. After Behan had denied Annalivia Hayes at the end of an earlier move, Begley found the roof of the net to secure the second goal of the tie. There was enough time for Castleknock to open their account through the hard-working Aoife Byrne, but Cuala were not to be denied a much-deserved win.